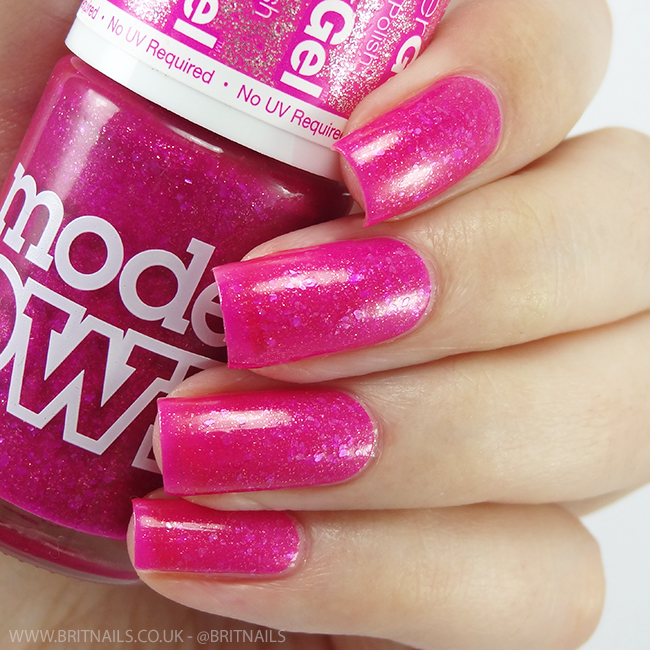 I'm happy to see both Barry M and now Models Own spicing up their gel lines with glitter; I love both the Gelly an HyperGel ranges but it's exciting to see something different. The GlitterGel range have the same smooth gel-like consistency as the regular HyperGels and dry smooth to the touch, and since they contain no gritty glitter, removal is easy. 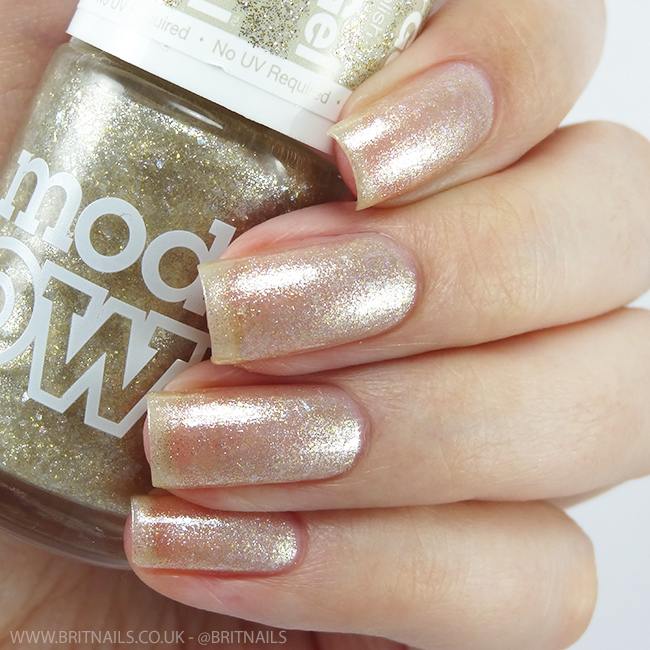 Sheer Sparkle is a champagne gold with gold shimmer and gold flakes in a clear base. As the name says, this one is sheer and I used 3 coats in my pictures. I didn't like how sheer it is at first but the effect has really grown on me; it gives a beautiful clean, classy look and the visible nail line is barely noticeable in real life. I can see this going beautifully with a Christmas party dress! 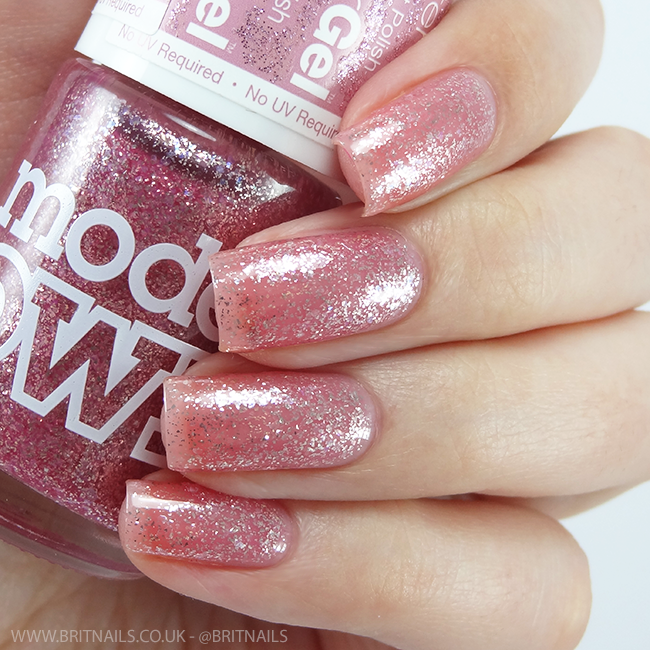 Crystal Pink is a sheer pink base with loads of pink and silver flakes. This is quite sheer but as with Sheer Sparkle, I love the effect it creates, and I'm impressed at how smooth it dries considering how many flakes are in it! I used 3 coats, no top coat. Lastly, Red Carpet is a rich red with red/pink flakes and a bit of silver sparkle. We all know I'm not a fan of reds, but this is nice nonetheless! 2 coats, no top coat. Models Own have definitely got us covered for the festive party season, whether you're a fan of subtle sparkle or statement pinks and reds. Let me know what you think! 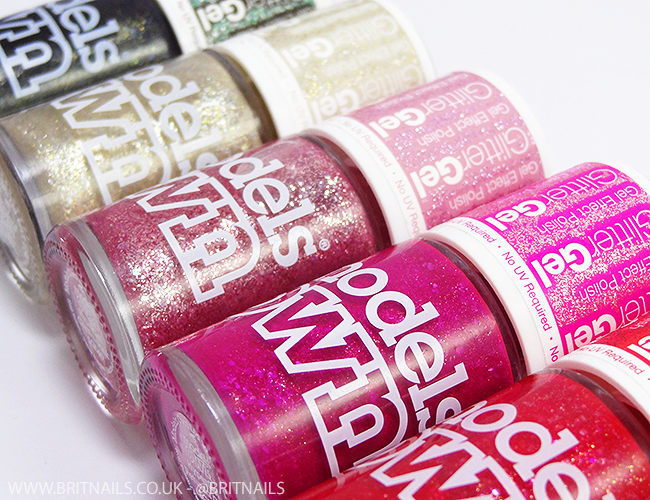 - Available now from Models Own, Models Own Bottleshops worldwide and Superdrug stores, priced £4.99 each. Wow, these look really gorgeous, love how they all have some flecks coming through. I am usually not a big fan of sheer polishes, but these could work for so many different things, like layering them over a creme base. 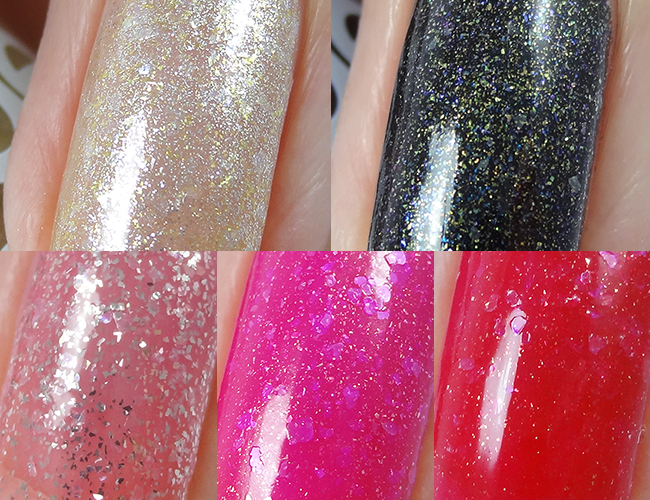 Petunia Glitz and Starburst are my favourite specially since they're really more opaque. 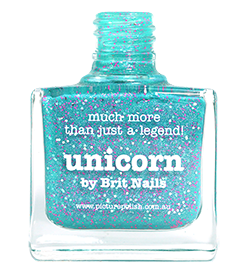 These look lovely, and somehow I quite like the sheer one on you - must be your fabulous nails ;). God your nail beds are crazy long, they are absolutely perfect!!! Your swatches are amazing as always. I'm sort of confused by the polishes though! They are super pretty but the sheerness is odd on some of them. That being said, you could make me buy anything! These are really pretty! I love that they are sparkly without chunky glitter. These look great for the holiday season coming up! Gorgeous swatches as always!